I’ve come to the realization that we are not actually in the golden age of Northwestern athletics- – we’re on the brink of it. Before you go trying to teach me a history lesson, let’s look at it from an outsider’s perspective. Yes, the Wildcats have made four straight bowl games for the first time in school history, but they haven’t won a bowl game since 1949. Granted, the men’s basketball team has made the postseason four consecutive years for the first time in program history, but none of those appearances were in the Big Dance. I understand this sounds negative, but for me this shows progress. We are living in a world in which making the National Invitation Tournament is still considered a good season for NU. Cats fans still believe making a bowl game constitutes a great year, and that’s not okay. We need to expect more from NU athletics, as do the athletes. I was happy to hear head coach Bill Carmody talk about the disappointment in not making the NCAA Tournament this season. Moments after learning his team would not be dancing in March, Carmody spoke about how the players who were once ecstatic about making the NIT are now disappointed they did not make the Big Dance. This shows just how far our lovable Cats have come since Carmody took over in 2000. The stuffed monkey that followed the football team around in Houston was another example of NU trying to take the next step. By embracing the then-63-year old “monkey on their back,” the football team made it clear that making a bowl game is no longer the goal, but the expectation. That should be the mindset of the alumni base who look at NU athletics through the lens of the 1970s when NU was worse than horrific. Even the smaller sports have shown they are on the edge of breaking through. Wrestling has accumulated three top-10 recruiting classes in the last three seasons and is coming off a ninth-place finish at the NCAA Championships. They have shown the potential to beat any opponent on any given night, especially with all six qualifiers to the NCAAs returning to Evanston next season. The men’s and women’s golf programs are poised to make the national championships led by two senior golfers who have taken the Big Ten by storm. Baseball has some excellent young talent which has led NU to a strong start in conference play. Even the defending national champion women’s lacrosse team has proven it’s head and shoulders above the rest of the nation this season. The NU athletic department is in a great position thanks to the hard work of Jim Phillips. The athletic director has worked tirelessly to make sure the Cats are competing in the Big Ten and not just a doormat. I’m not here advocating for you to not to be thrilled about the progress NU has made in its athletic program. I’m not saying NU is not a good athletic school. I am simply stating that the Cats are on the cusp of something special. NU athletics may be at its highest point ever, but it hasn’t hit its golden age yet. 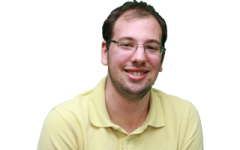 Sports editor Josh Walfish is a Medill sophomore. He can be reached at joshuawalfish2014@u.northwestern.edu.